6' x 42' x 2" EVA TriFlex Foam. 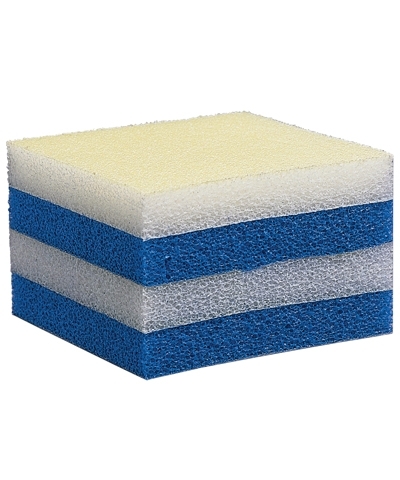 Enhanced EVA Triflex® Foam combines layers of cross-linked polyethylene foam with high-perfomance EVA foam for an Extreme Rebound and Shock Absorption. Enhanced EVA Triflex® foam provides more height and airtime when tumbling. Triflex® is a registered trademark of Dollamur. Rod Floor Foam: 2" EVA TriFlex Foam is used with the scrim down against the rods. The scrim will prevent the rods from chewing up or tearing up the bottom of the foam. Add 1' in length for rod floor lengths under 48' long and add 2' in length for rod floor lengths longer than 48'. 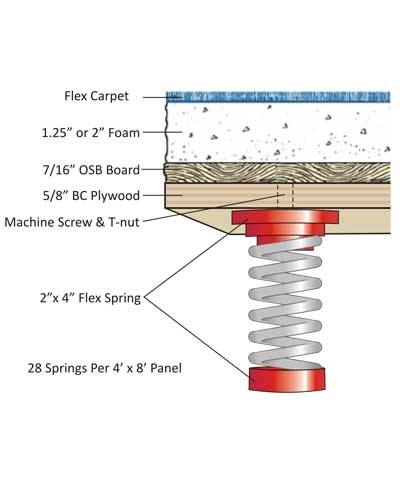 The bolt heads between the rod floor sections add about 3/4" in length to every 2 rod floor sections. 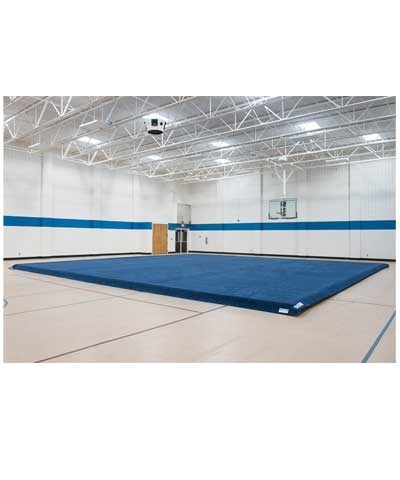 Spring Floor Foam: Scrim backed foam can be used on the top of a gymnastics spring floor with the scrim up. Velcro hook connector will stick to the scrim to secure the rolls together. The Hobbs Scrim will also prevent the carpet from shifting on top of the foam and spring floor. 6'wide x custom length (over 42') x 2" - enter sq ft in the quantity box. (Square Feet is length X width). Minimum order = 6'x42'. We cannot produce a roll shorter than 42'.